Google Sitemap – Should you have one? Google sitemaps have proven to be a very important component of each website available on the Web. Google sitemaps is a tool offered by Google, which allows you to submit a document that contains links to every page of your site called a sitemap. This document has to be either in .XML or in plain .TXT format so that Google will easily index your pages. In case your site contains a Google sitemap it will be constantly indexed and updated by Google. In this article, you will find useful information explaining what the Google sitemap is and how to create a Google Sitemap for your website. However, first you have to realize how important it is to have a Google sitemap. – Due to Google sitemaps, Google manages to keep search content fresh. Anyway, the subject that we are going to discuss is how to create a Google Sitemap for your web site. The bare truth is that for most people this will be a hard and complicated task. Moreover, it will be extremely difficult if you have a site that has 1000s of pages. Website owners who have sites published with WordPress were the first to enjoy the Google Sitemaps plug-in that Google released. You can easily find this tool available on the website of its creator Arne Brachhold. 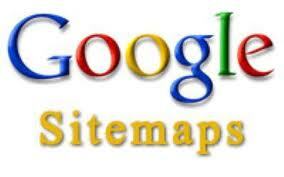 This Google Sitemaps plug-in can generate your xml sitemap automatically requiring no time and effort. Moreover, it will update your sitemap each time you make changes or add contents and it will automatically ping Google directly to tell them that there are new pages to spider. In case your website is not published in WordPress you have no reason to worry about your sitemap. It is very easy to create sitemaps for other websites as well. You just need to use the free program “Google Sitemap Generator“. Luckily, today Google offers the Sitemap Generator, which is able to generate a sitemap for your site automatically and quickly. The Google generator can create a sitemap requiring little time and no effort. Actually, this Generator is a Python script that uses the Sitemap Protocol to create sitemaps from URL lists, web server directories, or from access logs. In case you are interested to learn more about creating a Google sitemap follow this link and you will find detailed information: WebMaster Tools. Google sitemaps are created using XML (Extensible Markup Language). This XML is coding language is like HTML but a little more complex. Using this coding language however requires knowledge, training and patience. There are other generators available, which are easy to use and free. They can produce the necessary XML code for your site. In order to use this free sitemap generator you have to go to http://www.sitemapspal.com and enter your site’s address, then you must copy the code that it generates for your site and paste it into notepad. Your nest step will be to save the text file as sitemap.xml, upload it to the root directory and then resubmit by opening your Google account. Pls check out my web site as well and let me know what you think.